The story of St. Luke’s begins in 1991 when a group of Episcopalians living in the area started meeting together in homes. A priest from Christ Church in Tyler came to officiate at communion services. In time, the group rented space in the building that was once Caudle Rutledge Funeral Home in Lindale. By 1997 the Episcopal Diocese of Texas based in Houston gave the congregation the approval to build. A purchase of twelve acres of land located on FM 849 was made. The plan was for a gothic style church built in the shape of a cross with a bell tower. 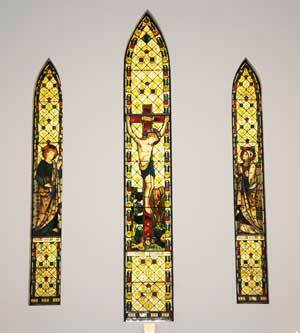 A wonderful blessing was the gift to St. Luke’s of a set of three stained glass windows. These wonderful old windows had been purchased many years ago and stored. They were originally part of an Anglican church built in the 1600’s in London. The church was bombed out in World War II, and only the three windows, now set in the wall behind the altar of St. Luke’s, were left in the one remaining wall of that church. They are thought to be the oldest documented architectural items in Lindale. Shortly after the dedication of the church, St. Luke’s started a Mother’s Day Out for the Lindale area as an outreach. In 1999, a survey of needs was done in Lindale. Results showed the need for a Christian school for young children. Beginning in 1999 a school was planned, built, furnished, staffed, and children enrolled. Today St. Luke’s church and school are moving ahead as Lindale grows. The continuing mission of both church and school is to serve this community as a welcoming, spiritual home and to offer the community a Christian school with a safe environment and an excellent academic program. 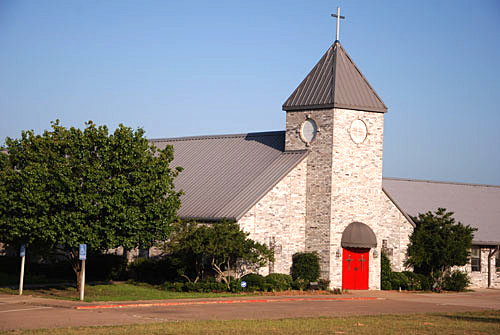 St. Luke's Episcopal Church is located in the heart of Lindale Texas on FM 849 directly adjacent to St. Luke's Episcopal School.